It's 3:30am; you're a restless, sweaty mess embroiled in strewn sheets, you can't seem to find your pillow and oh yeah, you have to be up in three hours. We've all had sleepless nights, but about 40% of Canadians have sleep disorders, posing serious health risks and over a quarter of us sleep less than seven hours a night, halting our productivity and costing the economy $21 billion. So if you're reading this in bed, dream of the future because help might be on the way. Here are a few burgeoning (and bizarre) inventions that may change the way your sleep for good. There are many apps out there claiming to better your bedtime, but there's only one backed by NASA research. 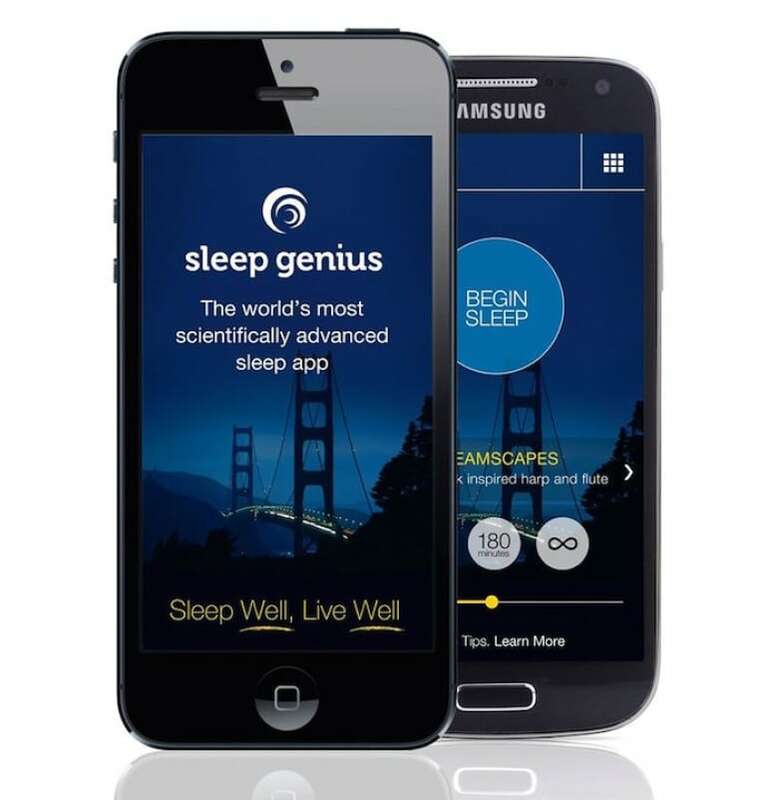 The Sleep Genius app was invented by a team of researchers to improve the sleep of astronauts. The app will monitor your behaviour to suggest an optimal sleep cycle and then remind you when it's getting close to bedtime. If you're restless, there's a relaxation mode to put you into an optimal sleep state and, when it's time to rise, the Sleep Genius will gradually and gently wake you, as opposed to the jarring buzz of an alarm clock. There's even a power nap setting and the app is available to download for $4.99. If you sleep alone, snoring isn't an issue, but if you have a partner; it can be a nightmare. In fact, according to a 2013 study, almost 40% of couples sleep separately. 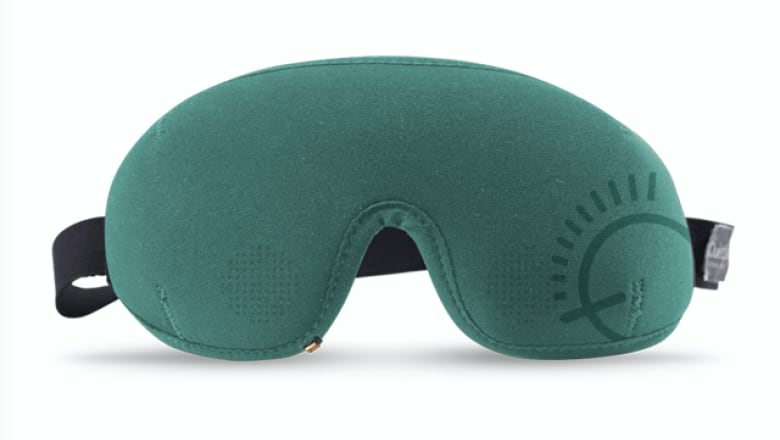 If you'd like to snore no more, the Silent Partner may do the trick – it's the world's first smart mask to counteract snoring. 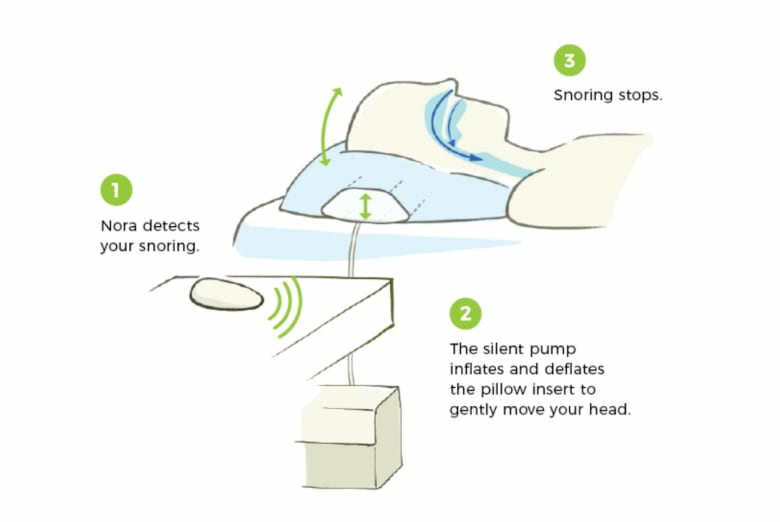 When you begin snoring, the mask detects it and emits a counter sound to effectively neutralize the noise, creating a "quiet zone" around you. After raising $1.5 million on Indiegogo, it's slated to begin shipping this October and can be pre-ordered for $77. Not a fan of sleep masks? Say hello to the Nora, an automatic pillow adjuster. When you begin sawing logs, the sound detector alters the pump placed under your pillow which will inflate or deflate; adjusting your head and breathing position until the snoring ceases. The whole kit is currently available for $299. Maybe you need your own cone of silence to block out your environment (it is construction season after all). 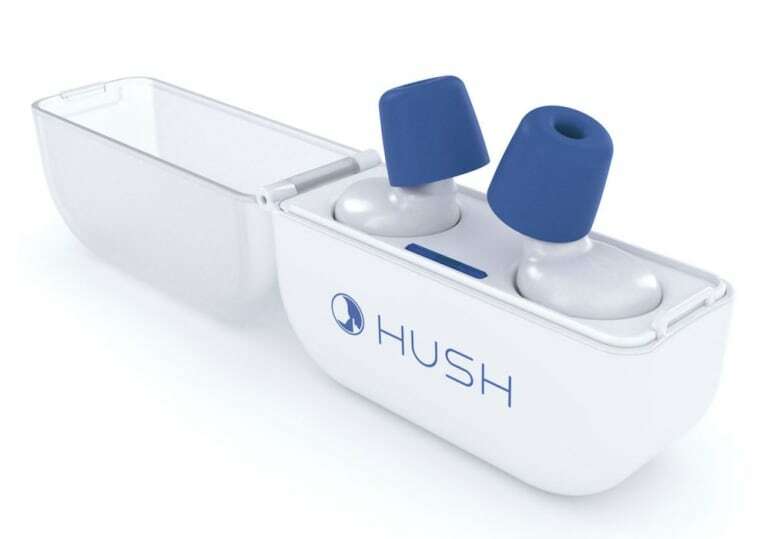 Hush Earplugs are wireless earplugs that cancel the noise around you and can also emit soothing sounds to help you fall asleep. Just to make sure you aren't too quiet to miss those important noises, there's a Hush app that will allow your alarm and important calls to come through. The plugs aren't ready for the public just yet, though the app is available to download. We've all tucked ourselves in for a nice night only to wake up with the sheets kicked off in a puddle of sweat. If you need a little temperature regulation, the BedJet is an apparatus that tucks under your bed and is hooked up to your blanket; circulating air, at a variety of temperatures, through the bedding, ensuring your sleep stays warm or cool. 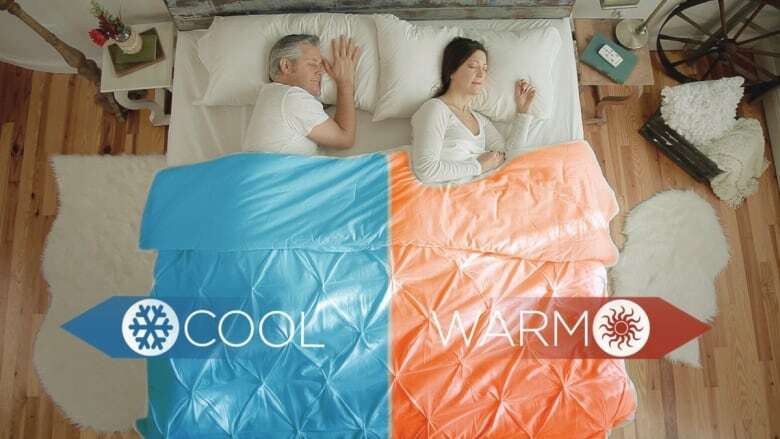 If you and your partner prefer different climates, the BedJet can split the temperature down the middle, so you can both get the sleep you desire and it can all be controlled through your phone. The entire system can currently be purchased for $339. If your bedtime is burdened by your bosom, you may finally be able to rest. 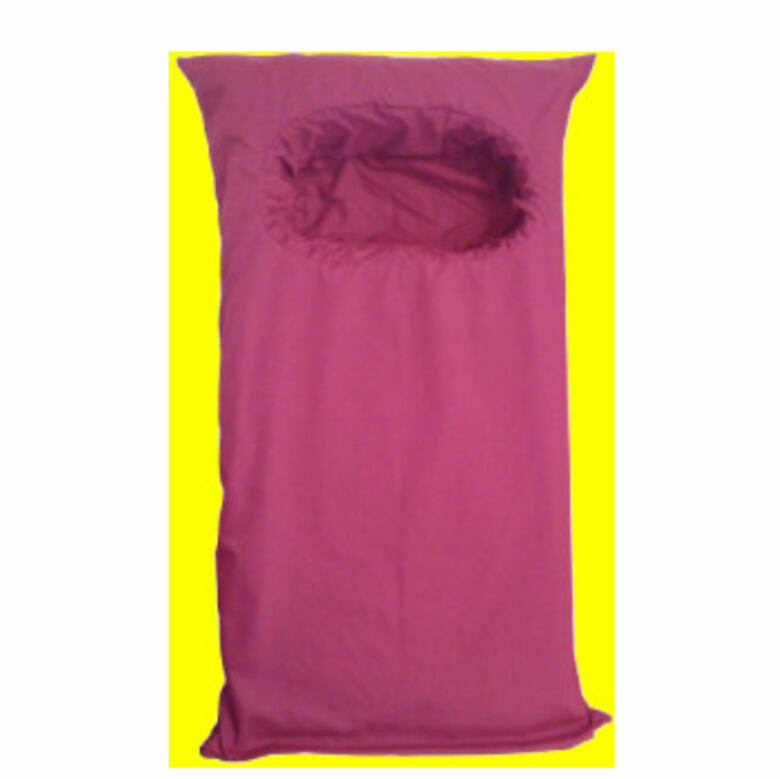 Comfy Breasts is a body pillow that has a support hole for your breasts for those encumbered stomach-sleepers. The pillow is sized based on a variety of your measurements and not just of your chest; it also has hip and back support to make sure your whole body stays comfortable. They even have a pregnancy version and one for (ahem) male counterparts, but the original is being sold for around $70. Unless you're one of the chosen few that can doze off anywhere, sleeping on the go can be a (waking) nightmare. 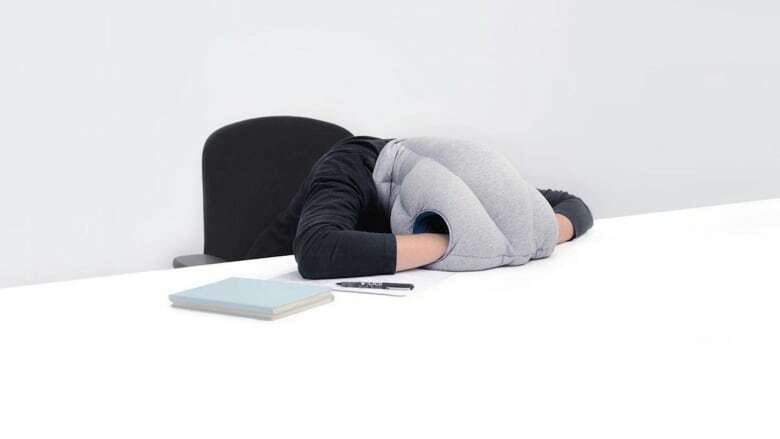 The Ostrich Pillow is a plush fabric encasing for your head and hands, blocking out light, creating a comfortable head rest and an "immersive environment" for you to sleep wherever you roam. The original is available for $99, but if such encompassing isn't your ideal, they also offer the Ostrich Pillow Light eye/neck wrap for $45 and the Ostrich Pillow Mini – a pillow glove for resting your head on your hand – for $30. There's nothing like waking up to the scent of freshly brewed coffee, but now you can do that without making a cup at all. 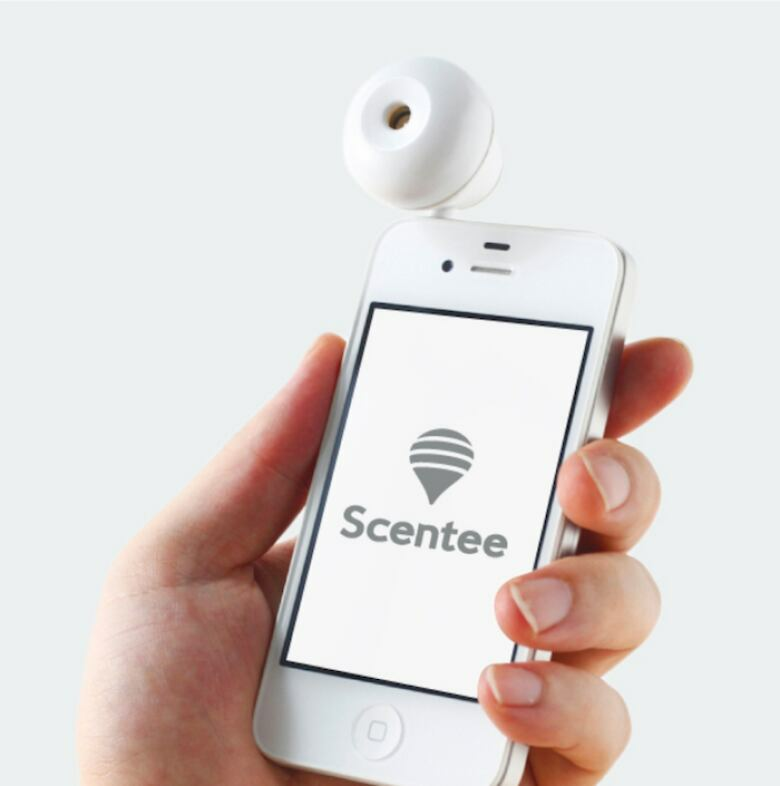 The Scentee is an apparatus that attaches to the earphone jack of your smartphone and, via an app, releases the scent of your choice on command. The scents come in cartridge form (similar to coffee pods) and are currently available in rose, strawberry, coffee, lavender and rosemary aromas. The apparatus is being sold for $49.99 and the scent cartridges are $7 each. RJ Skinner is an actor, writer and pro wrestler, so he rants and raves in various states of undress. Follow him on IG @rjcity and if you're feeling crafty, behold the Cynical Crafter. Napercise! The fitness class where the workout is a 45 minute power doze.